“We demonstrated that… there is a net transfer of money out of Africa to the richer world,” stated Raymond Baker, the director of Global Financial Integrity, at the Human Rights and Economic Justice conference in fall 2013. “This is contrary to what we normally think,” he continued, as we are well aware that Africa receives millions of dollars from the developed world in aid, direct investments, and remittances. According to the New Haven Declaration, a document dealing with “human rights and financial integrity,” these efforts in Africa and elsewhere in the developing world are counteracted by “large outflows of illicit money” that far surpass, perhaps even twofold, all official development aid (ODA) and “greatly aggravate poverty and oppression in many developing countries.” This illicit money, also known as “illicit capital” or “illicit financial flows” (IFFs), refers to any money that is used, transferred, or obtained illegally between regions or in secrecy jurisdictions, and today totals approximately $1 trillion in flows each year. Thomas Pogge, a researcher at the Global Justice Program at Yale, formed an organization called Academics Stand Against Poverty (ASAP) to engage the “global rich” in rigorous research on and advocacy for international development, particularly to further the work of Global Financial Integrity and others as presented in the aforementioned New Haven Declaration. His aim was to demonstrate the overwhelming agreement of experts in law, finance, and international development that global agencies should prioritize efforts on this front. The coalition is currently researching and creating a series of policy proposals they intend to disseminate to international interest groups, hoping to specifically address the issue of secrecy jurisdictions acting as tax havens. But, as Baker posed in his speech, it is debatable whether ASAP’s “current responses to the transparency agenda [are] appropriate to the magnitude of the problem.” This paper will evaluate the success of ASAP’s efforts thus far in tackling illicit financial flows and the potential impact of its new project. By considering testimonies and first-hand information from ASAP and other research organizations, it is evident that while ASAP has not succeeded at the goals it enumerated at the outset, its actions will succeed in the long-term and serve an even greater purpose. The paper will begin by further explaining illicit financial flows, focusing on a few of the most common and egregious types and their implications for international development and the poor. The explanation will narrow from illicit financial flows to trade-related flows to tax havens, and demonstrate how these tax havens hurt both the public and private sectors of developing host countries. Next, it will discuss a few elements of modern globalization that exacerbate these issues, focusing on the role of the globalized market, new technologies, and advertising. The last portion contains information on Academics Stand Against Poverty as a significant INGO trying to address this issue. Included in this section are the history of ASAP’s formation, details of the two large efforts ASAP and its affiliates have made on this front, and the problems or failures they faced. Researchers often divide up IFFs into three categories: corrupt, criminal, and trade-related. Contrary to popular belief, the first – corruption by public officials such as bribery and theft only makes up about three percent of all illegal transfers of money. The second and perhaps most prominent in media is money earned from criminal activities, such as the drug trade, human trafficking, and counterfeiting, which is estimated at $650 billion per year in flows that go both out of and into developing nations. While these activities are estimated to do most of their harm to those in the developing world, criminal activities are still too complex and misunderstood for meaningful legal action and will therefore remain in the realm of research. So while all three have serious implications for developing nations, the third – trade-related activities such as tax avoidance and evasion – is by far the largest, at approximately 80% of IFFs, or $946.7 billion in 2011, alone, and is arguably the most significant to the propagation of poverty in the developing world. What sets illegal trade-related flows apart from corrupt and criminal flows is not only their volume but that these activities operate according to existing laws in countries that have “unusually low tax rates … for shell [fake] companies with foreign owners” and permit these wealthy foreigners to conduct their affairs in secrecy, hence the titles “tax havens” and “secrecy jurisdictions,” respectively. Because trade-related flows are issues with nations’ legislation rather than the enforcement of legislation, this aspect of IFFs seems to permit the most leverage for third-party reform, and is therefore will receive the most attention here. Within illicit trade-related flows are issues of tax abuse, the most concerning of which are transfer mispricing, tax holidays, natural resource taxation, offshore investment accounts, and secrecy jurisdictions. Many of these are, on the surface, quite legal. Transfer pricing, for instance, is the price that two subsidiaries of a multinational corporation (MNC) set to trade or buy assets from one another. The issue arises when mispricing occurs, when invoices are sent to tax havens to have the prices changed in a process call reinvoicing, so that the subsidiaries seem to be paying the legally mandated amount of taxes required by their base country when, in fact, they are paying the far lesser amount requested by the host, or “source,” country. Similarly, tax holidays are incentive programs whereby a government “offers a tax reduction or elimination to businesses” with the intention of “reduc[ing] sales taxes by local governments” to spur economic growth. However, developing nations’ governments have taken to using tax holidays to encourage foreign direct investment (FDI) at levels the Tax Justice Network has determined is far beyond the amount needed to attract foreign investors, leading to losses equivalent to, for instance, “at least 2% of GDP” in Uganda, according to the African Development Bank. A similar situation applies to natural resource taxation and offshore investment accounts, for in all cases, developed country MNCs establish themselves where the laws are most favorable to them and receive large amount of local capital (and/or avoiding paying capital to their parent countries (tax avoidance). It is fair to call most of the major tax abuses symptoms, at least in part, of the issue of tax havens and secrecy jurisdictions, so in narrowing the topic further, much of the following content will refer to this. To understand why tax havens have the most negative effects on poor nations, it is necessary to consider their ramifications on both the public sector, in the form of reduced tax revenues, and the private sector, in the form of lower private incomes. Regarding the former, research shows that there are increases in the quality and size of state governance with improved tax capacity. Wealthier tax haven nations with already established institutions – strong tax collection enforcement mechanisms, government checks and balances, and the like – are often able to absorb the capital tax revenue lost to these decreased tax rates because they have other steady revenue streams from their strong economy and labor taxes. Such is not the case for poorer nations that are riddled with issues like weak tax collection enforcement, whereby only a small percentage of the populace is required to pay taxes, and those who do pay often fail to pay an adequate amount. Prevalent government corruption, another issue indicative of countries with low GDPs, often means that there are fewer punishments for tax evasion, less government awareness of that evasion, and less willingness of the people or corporations there to pay taxes, as they are wary of government revenue use. The majority of registered tax payers are the wealthy multinational corporations themselves, so despite seeming or possible short-term benefits of additional FDIs, the additional, low capital taxes gained from MNCs fail, supplemented by raised but unenforceable labor taxes, produce a lower net tax revenue than had the country not been a tax haven. This issue is cyclical, as a government, failing to bring in enough revenue to invest in improved political institutions, continues to fail to collect from its populace and continues to believe it must bribe FDIs to “contribute” to their economies. This failure of the government to establish itself ties directly into the inability of the private sector of developing nations to expand. For instance, while intuitively it seems that resource-rich nations would have higher overall GDPs per capita, the data in the table below from the International Monetary Fund (IMF) demonstrate a situation otherwise – that, in fact, greater production sometimes leads to a declining GDP per capita rather than growth. According to a Norwegian report, this is due to the rent-seeking behavior of foreign investors, companies that seek out regions of resource abundance and preferable tax laws to take advantage of the vast production opportunities for personal benefit. While the FDIs could spur internal growth under tax-neutral conditions, reduced tax laws permit these investors to reap most of the benefits without paying back an appropriate share of their profits to the source country. Without this reciprocal infusion back into these weak economies, the net purpose these corporations serve is to take resources out of a nation that lacked the means to process their resources and deprive them of even the resources themselves. As the local government, low on revenue and embezzled by greedy officials, is unable to make many purchases to spur consumption or to break the “extractive” monopoly of foreign investors, neither the private nor the public sectors can break this cycle, even with the help of government operating budgets financed by, in some cases, up to 50% by official development assistance (ODA). Like many issues today, tax havens existed for a while before they became problematic, much of which is attributable to aspects of globalization. The policies under which many of these affairs take place first developed in Africa in the 1960s as a way for leaders of countries that had just been decolonized to securely store their money elsewhere, and to accommodate corporations that were expanding across the globe. The latter, once used only by a few wealthy individuals from large companies and trusts with extensive knowledge of the global market and international laws, tax havens have now expanded to common use amongst major transnational corporations (TNC), with “98 of the top 100 publicly listed UK companies [having] subsidiaries incorporated in tax havens” and 83 of the top 100 of those in the US. They now facilitate “anonymous trust accounts, fake charitable accounts, money laundering,” and many other transactions as a result of globalizing the economy, improved travel and communication technologies, and more expansive promotion by tax haven nations. Globalization of commerce has vastly increased the influence and power of multinational corporations (MNCs), with payments and direct investment more than doubling in the last decade. With the greater involvement comes greater competition between companies to keep costs low and revenues high. Many turn to child labor in developing countries to evidence the unethical practices of MNCs, but one must similarly consider tax havens as another form of “outsourcing” of otherwise expensive company affairs. Improvements in transportation and communication technologies are similarly important globalization factors that have broadened the tax haven user base. Companies, once required to have incredible capital and knowledge of foreign affairs to use tax havens, can now send messages, people, or money around the globe within hours, making it easier to find and coordinate a favorable tax arrangement for their company and to track money stored abroad. Finally, just as advertising for consumer products has become more targeted, so, too, has that for tax havens by developing nations that would like to draw in FDIs. Just as the demand for locations for covert operations has increased, so too has the demand for investors. Tax havens partake in a so-called “tax competition,” driving down tax rates to a point of profit negativity in order to attract those seeking their resources. Havens often have legislation in place that favors mobile assets like capital over the traditional labor asset, promoting the use of money electronically and sale of goods in open markets while restricting migration. As mentioned earlier, driving down tax rates for MNCs indefinitely forces the local governments to shift the tax burden to the immobile and already-impoverished populace. Collecting only a small sum from the few registered in the tax base many of these nations have, governments end up retracting social insurance programs, only worsening conditions as the countries fall into fiscal crises. In 2011, Thomas Pogge of the Global Justice Project and his affiliates achieved nonprofit status for a new organization Academics Stand Against Poverty. Guided by the broad mission of “helping poverty researchers and teachers enhance their positive impact on severe poverty,” Pogge and his similarly minded Board of Directors prioritized the work they had been doing on illicit financial flows, operating through two initiatives: the Global Poverty Consensus Report (2011) and Institutional Reform Goals (2012). The Global Poverty Consensus Report (GPCR) is a project that formed under the impression that the discussions in the media regarding the domestic factors of international poverty were avoiding the pressing but difficult legal issues propagating that end. The members of the team aimed to do two things: firstly, they hoped to disprove the view that academics seldom agree on the proper course of action and believed that their coalition of academics and civil society leaders would find IFFs to be one such topic on which they more or less agreed. Additionally, recognizing the potential to shape the conversation regarding “next steps” after the Millennium Development Goals (MDG) expired in 2015, ASAP hoped to shape the discussion for the “MDG replacement process” and make illicit financial flows a significant part of them. Toward the first end, the team conducted 40 interviews in 2012, only to be cut short by the leave of project leader. The data they collected, while valuable for internal use at gaining perspective, may be, they admitted, too small a sample and too late in the debate process to be significant. The Institutional Reform Goals project, starting the same year as the slowing of the first, formed with the more concrete objective of providing specific plans of action for tackling global governance issues in 10 major topical areas to succeed the MDG. The project, conducted in a formal Delphi study format intended to best analyze expert opinions, was productive, although not in the way that they initially intended. In utilizing their network they received many policy proposals of many forms, focusing on best practices for corporations at large to specific proposals for developing or developed countries. Not wanting to force a consensus where one did not exist, the project pivoted from being intended as a set of proposals on IFFs following the MDGs to a longer-term attempt at so-called Sustainable Development Goals. It is this process in which the team is in the midst, with the new objective being to find less time-specific, more ideal solutions, then to determine which are most apt for incorporation into a realistic political context. While it is difficult to determine the success of two projects that are so new and ambitious, it seems reasonable to say that they have been and are continuing to be successful, just in a broader way sense of helping their mission than at achieving their publication goals. Most of their success is in the precedent they are setting for other organizations by demonstrating that it is necessary to conduct thorough research for effective solutions, rather than to produce timely but imperfect suggestions for moving forward. For instance, some critics, such as tax journalist Leah Sheppard, claim that addressing IFFs, while important, may not actually make people in poor countries less poor, as the added tax revenue may not be used to make them better off. ASAP counter-argues that since 70-80% of IFFs are tied to trade and investment capital rather than tax evasion, the majority of this uncollected money would not be processed by the government, but instead would go through the market, stimulating economic growth. However, they aim to give such claims adequate consideration, pursuing valid results rather than speedy ones. By being willing to admit lack of preparedness or time, they are assisting the true goal of “enhanc[ing academics’] positive impact on severe poverty” in the long-run. While work on illicit financial flows and particularly the mitigation of tax havens is complex and at best indirectly linked to poverty alleviation, it is this willingness to approach daunting problems and bridge the gap between academia and politics that makes Academics Stand Against Poverty’s work so necessary. Where much of academia is driven by self-promotion and rapid publication, ASAP prioritizes the common goal of improving the lives of those most in need, accepting the necessary setbacks in difficult or inadequate data, improper hypotheses, or blatant criticism, as the case may be, as a new problem to overcome rather than a challenge. In speaking personally with the Executive Coordinator, it was clear that ASAP was honest about flawed hypotheses or timelines, or doubt in their own tactics. Yet by laying concerns about information-gathering tactics on enforceability of policy proposals on the table, they are demonstrating that at least some academics are willing to put personal interests aside on behalf of the collective good, an environment that will no doubt cultivate more accurate information and progress on illicit financial flows in the long-run. “About ASAP.” ASAP Academics Stand Against Poverty Site Wide Activity RSS. Accessed April 21, 2014. http://academicsstand.org/about/. Academics Stand Against Poverty. “Fighting Illicit Financial Flows Could save Developing Countries Trillions.” News release. Accessed April 22, 2014. 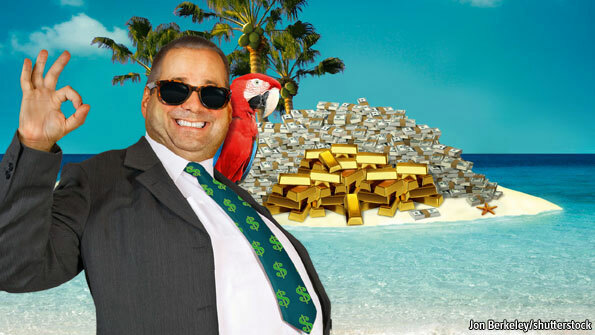 Addicted to Tax Havens: The Secret Life of the FTSE 100. PDF. London, October 2011. Avi-Yonah, Reuven S. “Globalization, Tax Competition and the Fiscal Crisis of the Welfare State.” PhD diss., University of Michigan Law School, 2000. Social Science Research Network. Accessed April 19, 2014. http://ssrn.com/abstract=208748. Baker, Raymond W. Foreword. In Transnational Crime in the Developing World, by Jeremy Haken, I-Ii. Washington, DC: Global Financial Integrity, 2011. Accessed April 14, 2014. http://www.gfintegrity.org/storage/gfip/documents/reports/transcrime/gfi_transnational_crime_web.pdf. Bernanke, Ben S. “Chapter 11: Spending and Output in the Short Run.” In Principles of Macroeconomics, by Robert H. Frank, 303-32. 4th ed. New York: McGraw Hill Irwin, 2009. Cobham, Alex. “Financing Progress Independently: Taxation and Illicit Flows.” Development Progress. November 2013. Accessed April 23, 2014. http://www.developmentprogress.org/blog/2013/11/20/financing-progress-independently-taxation-and-illicit-flows. “Fairer Shores: Tax Havens, Tax Avoidance, and Corporate Social Responsbility.” Review. Boston University Law Review, 2014. Accessed April 21, 2014. http://www.bu.edu/bulawreview/files/2014/03/FISHER.pdf. “Financial Transparency and Integrity.” Academics Stand Against Poverty. Accessed April 14, 2014. http://academicsstand.org/projects/institutional-reform-goals/the-goals/illicit-financial-flows-project/. “Financial Transparency and Integrity.” Academics Stand Against Poverty. Accessed April 21, 2014. http://academicsstand.org/projects/institutional-reform-goals/the-goals/illicit-financial-flows-project/. Findley, Michael, Daniel Nielson, and Jason Sharman. “Launderers Anonymous.” The Economist, September 22, 2012. Accessed April 18, 2014. http://www.economist.com/node/21563286. “The Global Poverty Consensus Report.” Academics Stand Against Poverty. Accessed April 21, 2014. http://academicsstand.org/projects/the-global-poverty-consensus-report/. Haken, Jeremy. “Transnational Crime In The Developing World – Overview.” Global Financial Integrity. February 2011. Accessed April 14, 2014. http://transcrime.gfintegrity.org/. Hollingshead, Ann. The Implied Tax Revenue Loss from Trade Mispricing. Report. 2010. Accessed April 14, 2014. http://www.gfintegrity.org/storage/gfip/documents/reports/implied%20tax%20revenue%20loss%20report_final.pdf. Horton, Keith. “History.” ASAP Academics Stand Against Poverty Site Wide Activity RSS. Accessed April 12, 2014. http://academicsstand.org/about/history/. “Institutional Reform Goals.” Academics Stand Against Poverty. Accessed April 21, 2014. http://academicsstand.org/projects/institutional-reform-goals/. “International Data.” U.S. Bureau of Economic Analysis (BEA). Accessed April 20, 2014. http://www.bea.gov/iTable/iTable.cfm?ReqID=2&step=1#reqid=2&step=10&isuri=1&202=1&203=30&204=99&205=1,2&207=43,42,41,40,39,38,37,36,35,34,33&208=2&209=2&200=1&201=1. INTERNATIONAL TAXATION: Large U.S. Corporations and Federal Contractors with Subsidiaries in Jurisdictions Listed as Tax Havens or Financial Privacy Jurisdictions. Report no. GAO-09-157. 2008. Accessed April 20, 2014. http://www.gao.gov/products/GAO-09-157. Lipsett, Lloyd, Stephen B. Cohen, Sternford Moyo, Robin Palmer, Thomas Pogge, Shirley Pouget, and Celia Wells. Tax Abuses, Poverty and Human Rights. Report. London: International Bar Association, 2013. Accessed April 14, 2014. http://www.ibanet.org/Article/Detail.aspx?ArticleUid=4A0CF930-A0D1-4784-8D09-F588DCDDFEA4. Mauro, Paolo. “Corruption and Growth.” The Quarterly Journal of Economics 110, no. 3 (1995): 681-712. doi:10.2307/2946696. New Haven Declaration On Corporate Financial Transparency. PDF. Washington, DC: Global Financial Integrity, December 8, 2010. New Haven Declaration On Human Rights and Financial Integrity. PDF. New Haven: Whitney and Betty MacMillan Center for International and Area Studies at Yale, December 2009. NRCapplication. PDF. Oslo: Center for the Study of Mind in Nature. Payne, Rachel. Telephone interview by author. April 15, 2014. “Raymond Baker – Introduction to Illicit Financial Flows.” YouTube. November 11, 2013. Accessed April 12, 2014. https://www.youtube.com/watch?feature=player_embedded&v=XDE72Dach0U. Schjelderup, Guttorm, comp. Tax Havens and Development. Report no. 19. Oslo: Ministry of Foreign Affairs, 2009. Accessed April 18, 2014. http://www.cmi.no/publications/file/3470-tax-havens-and-development.pdf. Shubert, Esther. Institutional Reform Goals: Illicit Trade-Related Flows. PDF. New Haven: Academics Stand Against Poverty, September 2012. “Slow Growth.” Digital image. International Monetary Fund. September 2013. Accessed April 19, 2014. http://www.imf.org/external/pubs/ft/fandd/2013/09/images/Warner_tbl.jpg. Suhasini. “INDIA: Multinational Corporations Reap Profits from Child Labor in India’s Cottonseed Farms.” CorpWatch. 2004. Accessed April 20, 2014. http://www.corpwatch.org/article.php?id=11566. “Tackling Illicit Capital Flows for Economic Transformation.” Thabo Mbeki Foundation. Accessed April 12, 2014. http%3A%2F%2Fwww.thabombekifoundation.org.za%2FPages%2FTackling-Illicit-Capital-Flows-for-Economic-Transformation.aspx. Tax Competition in East Africa: A Race to the Bottom? Report. April 2012. Accessed April 14, 2014. http://www.taxjusticeafrica.net/content/tax-incentives-and-revenue-losses-uganda. Tax Havens and Secrecy Jurisdictions: Institutional Reforms for Development. DOC. New Haven: Academics Stand Against Poverty, 2013. “Tax Holiday Definition.” Investopedia. Accessed April 14, 2014. http://www.investopedia.com/terms/t/tax-holiday.asp. “Transfer Pricing.” Tax Justice Network. Accessed April 14, 2014. http://www.taxjustice.net/topics/corporate-tax/transfer-pricing/.